Some two million people in the troubled district of Swat in north-western Pakistan were forced to leave their homes last year, when the government launched a military operation to oust the Taliban. 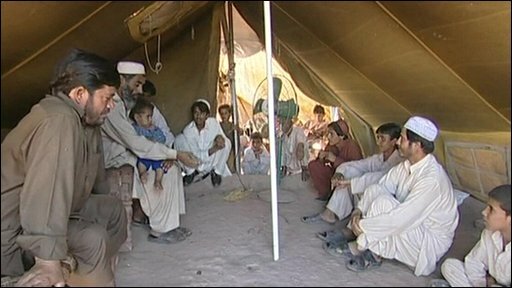 A year on, over a hundred thousand people are still living in the main displaced persons' camp Jalozai, and the government is telling them it is time to go home. But many people fear it is not safe to return. The BBC's Aleem Maqbool visited Jalozai camp.